Land Rover Defenders were built for adventure. Why not add adventure in your life, but mix modern luxury with it? 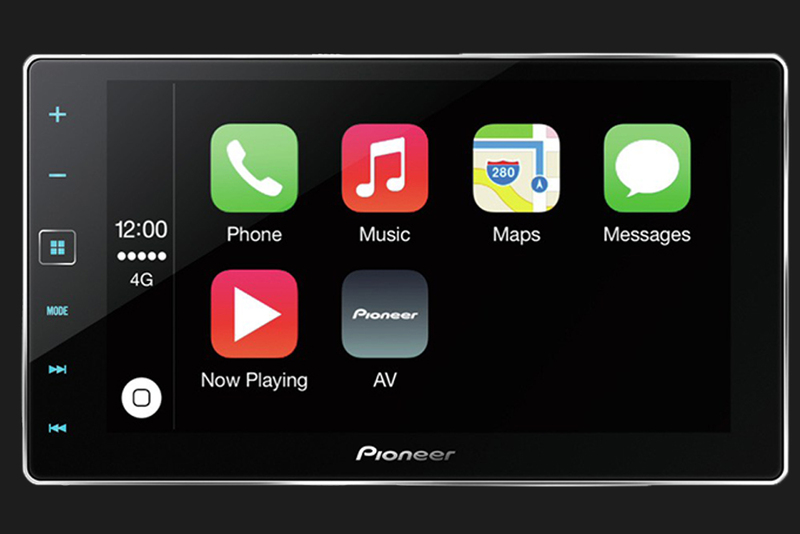 There are countless options and combinations sure to satisfy any driver. 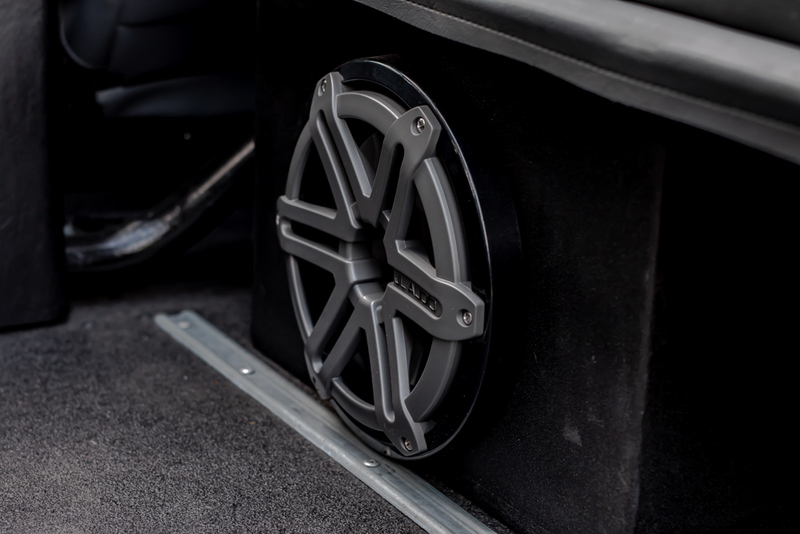 Our customers have the option of cruising in custom leather seating with air conditioning to keep themselves and their passengers regulated in all climates. With the help of LED lighting, our Land Rover Defenders will eliminate any waiting shadows. 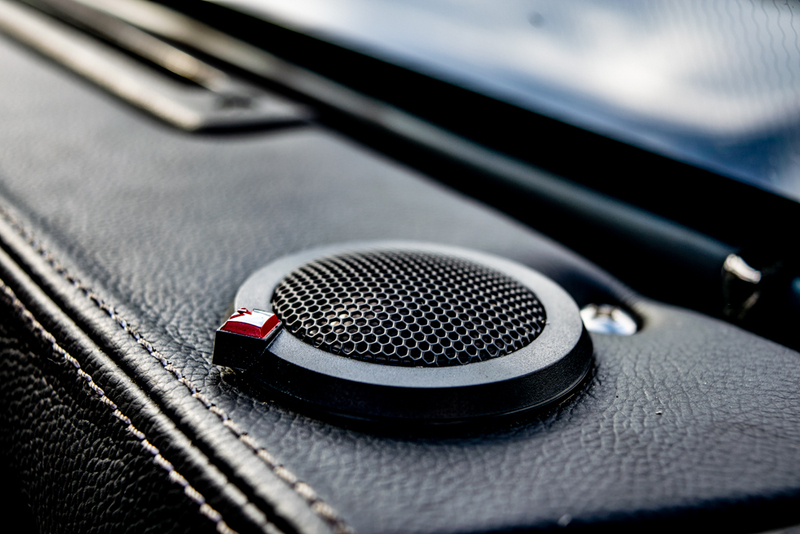 From the second our customers enter their new Land Rover Defender, whether it’s a Defender 90, Defender 110, or Defender 130, they will feel the power of their engine from the newly installed push start feature. 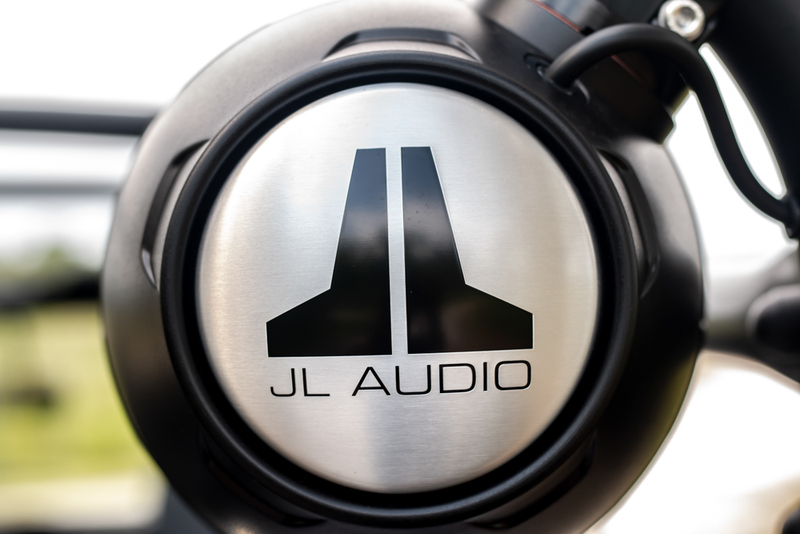 We have many options for engine upgrades, including the popular and reliable LS3 engine. 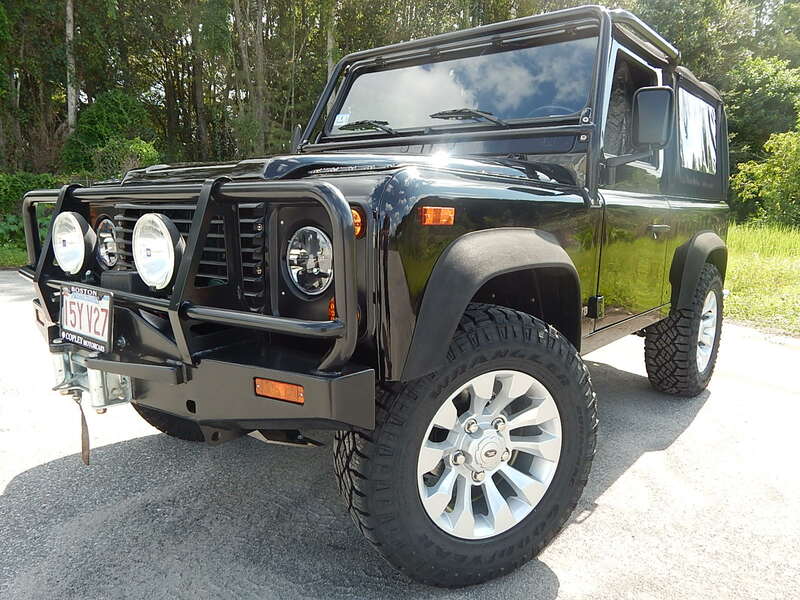 Land Rover Defenders were originally built for endurance for the unpredictable wilderness. Safari HP is here to revamp the old and make reliable luxury a priority. We have many options for engine upgrades, including the popular, powerful & reliable Chev LS3 engine. 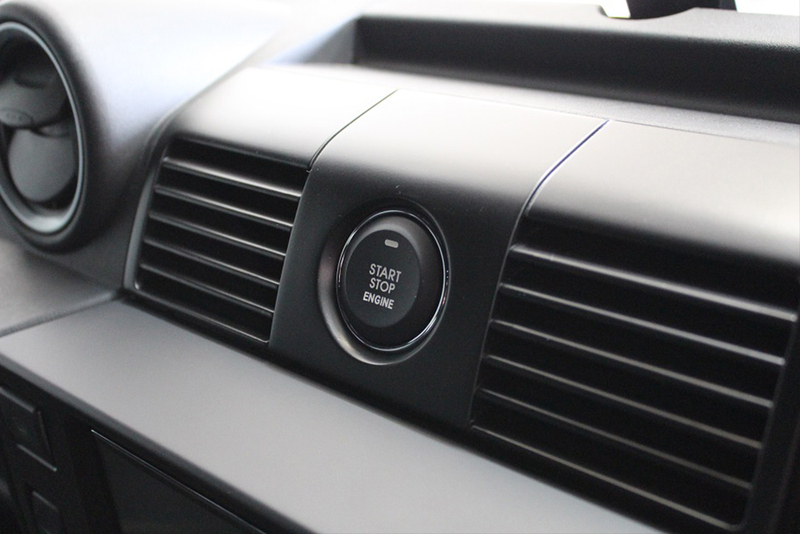 Option to add air conditioning to keep yourselves and your passengers regulated in all climates. 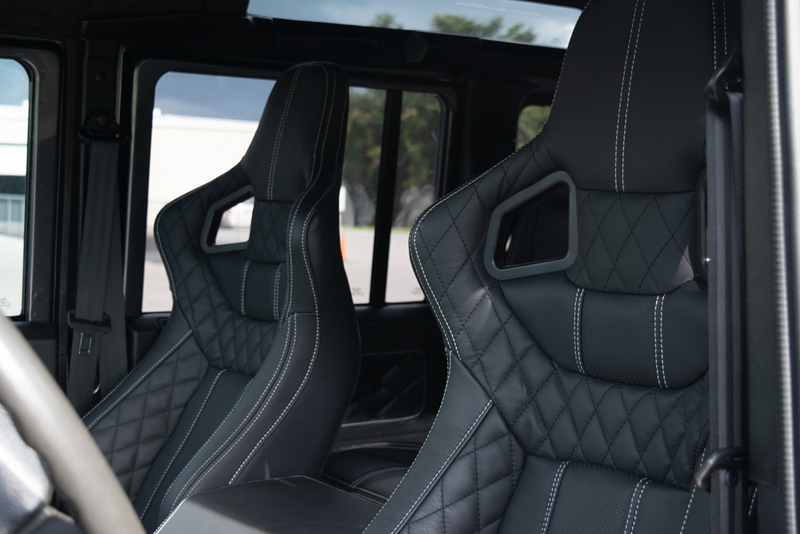 We offer a wide variety of trim types and stitching option which results in a beautifully tailored interior finish for your Defender. With the help of LED lighting, our Land Rover Defenders will eliminate any awaiting shadows. Feel the power of your engine from the newly installed push start feature. 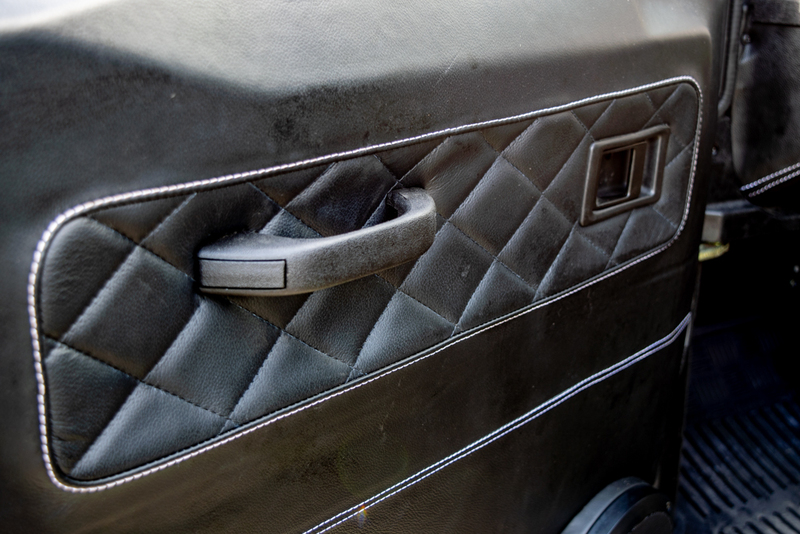 The attention to detail SafariHP had when restoring it surpassed our expectations. A trip to the local pizza place or just filling it up with gas now takes an additional 10 minutes as everyone wants to stop and talk. Fast forward to 2018 and we now find ourselves living in Florida and loving the truck even more, although we did not think that was possible. We can now drive it year round without the top! We are already thinking about doing another build or restoration with the team and are excited that this time we could drive over and see the progress in person! Thanks again to the team for making our dreams a reality. Satisfy your Defender craving and let's start your build today!